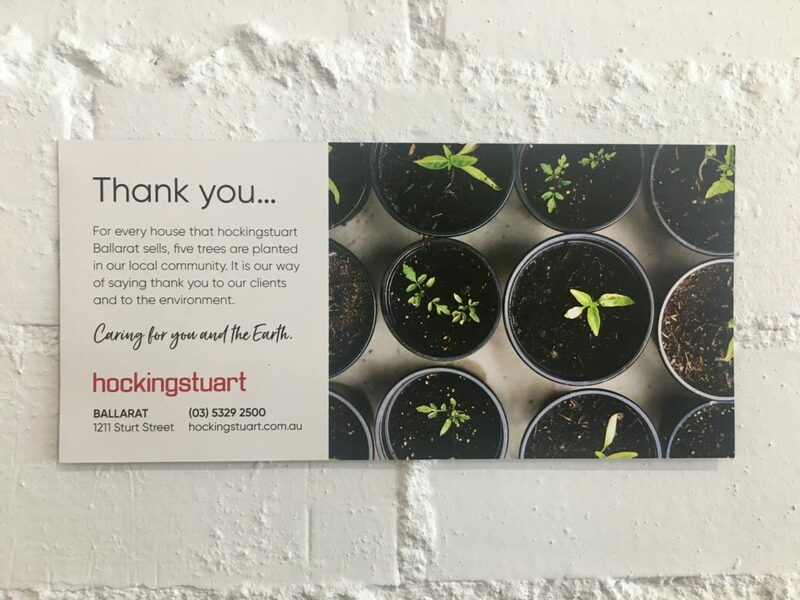 Clients who sell their homes through Hocking Stuart (Ballarat), now have another reason to choose this local real estate company. As a thank you to their customers, Hocking Stuart (through Fifteen Trees) plants 5 trees for every home sold. 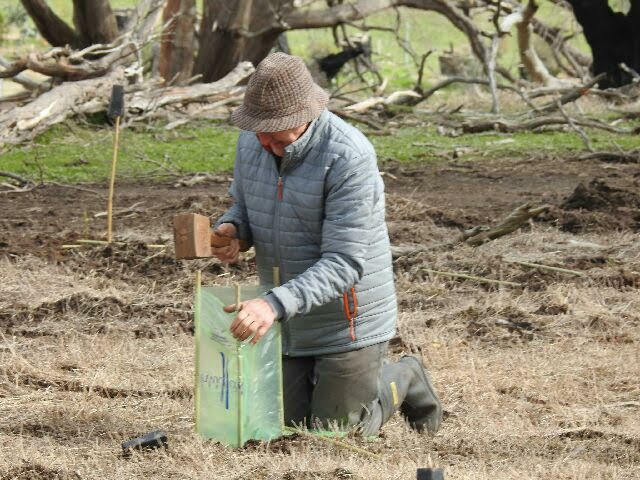 The trees are sourced from local independent nurseries (in this case, Ballarat Wildplants) and planted by community groups such as Landcare, school groups and societies such as The Ballarat Progress Society. Directors Tony Douglass and Tim Valpied have strong links to the Ballarat community stemming back several generations. Their understanding and love for the area inspires them to serve the local community, using their expertise to ensure outstanding results for Ballarat’s property owners. 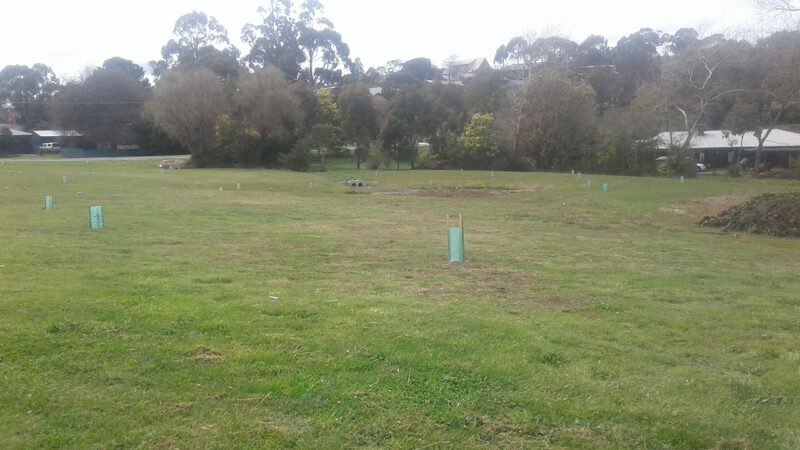 The Ballarat Progress Society planted 100 trees in the streets of Buninyong thanks to the generous donation of trees by Tim and Tony from Hocking Stuart, Ballarat. We had families of the Society attend as well as many members of the community. We selected various indigenous trees to plant. By choosing indigenous, we hope to attract local native insects, birds and small mammals. The trees were planted sporadically, depending on where there were gaps in the landscape. Thank you also to Peter Hiscock (pictured above) who helped organise this event. Thank you Tim and Tom for your support of the community who supports you. What a great way to say THANK YOU to your customers while at the same time providing something tangible to community groups in the Ballarat and District.